In addition to our many pest control services, we offer specialized lawn and landscape maintenance services throughout Stuart, Port St Lucie, Vero Beach and beyond. In addition to being aesthetically pleasing, a healthy lawn also provides increased resistance to insect damage. 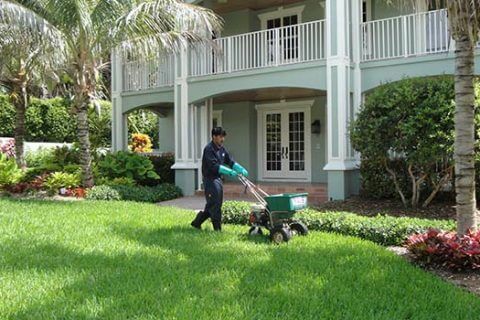 Our comprehensive lawn care services and insect control program is designed to suit the seasonal needs of lawns and landscapes in Florida. Our Lawn Care Maintenance & Treatment Service focuses on the proper care and promotion of the health of your plants. Our services in the past have shown to reduce the pests in the yards upto 90% with our comprehensive treatment plan. Up to four applications of environmentally-friendly, 50% slow release fertilizer with an insecticide blend. 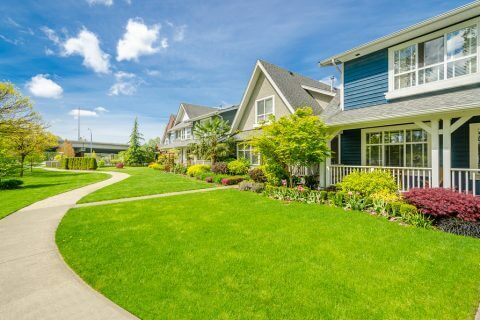 During the fertilizer black-out period (June through September) our EOM Lawn care service will maintain your lawn by nurturing it with micro-nutrients and protect it from summer time pests like chinch bugs, sod web worms and army worms. During the winter months our lawn care service includes the treatment and control of broadleaf, grassy and sedge grass weeds. Please note some weed species in Florida are difficult and may be out of our control. Fungicide treatments administered when necessary for the control of diseases like Brown Patch, Grey Leaf Spot, Dollar Spot and Pythium Blight. Fire ant control is guaranteed with our EOM Lawn service. Travis Pest Management proudly supports Florida Green Industries Best Management Practices for the protection of water resources in Florida. Because phosphorous occurs naturally in most Florida soil types, we recommend fertilizers with little or no phosphorous. In addition to the above lawn program, Travis Pest Management provides lawn treatments for the control of Fire Ants, Brown Crazy Ants, Fleas and Ticks.